In order to create a New Report Type, the user must follow the procedures below. Select the appropriate related sensor from the drop-down select list. Select the appropriate type of chart to be used. Define X and Y axis of the chart, along with respected labels and units (aka Sign). The user can define additional Y Axes by using the Add Y Axis button. Once all of the above information is provided, the user can preview the Chart by clicking on the Preview chart button. 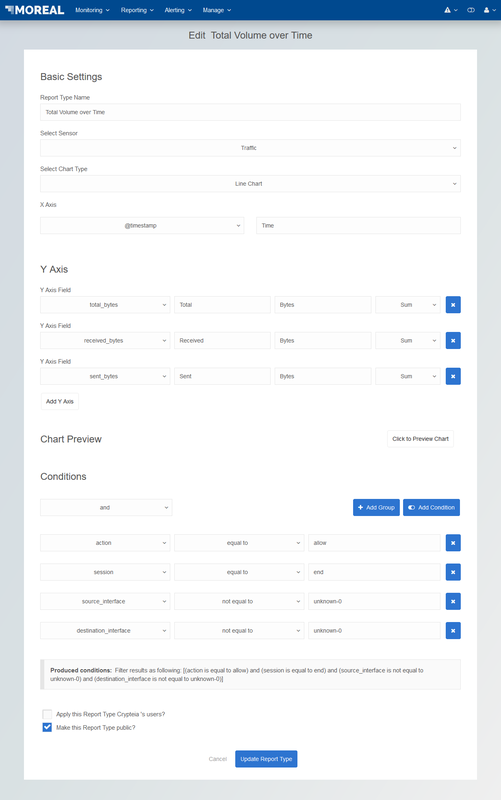 Optionally, to filter out the data the charts can show, the user is able to specify complex expressions of conditions to narrow down the data taken into account. 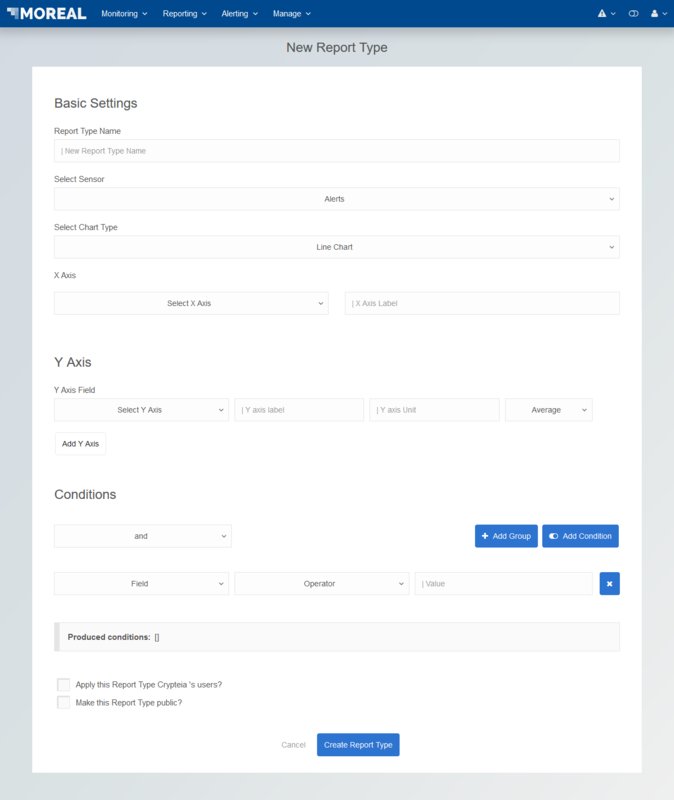 The underlying mechanism allows the user to specify and-or logical trees of conditions on the fields of the log types that have been taken into account. A human readable version of the and/or conditions expression that the user constructs manually is provided on-the-fly in the corresponding message box.